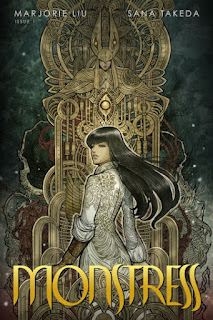 The all-new epic series by Marjorie Liu and Sana Takeda begins this November. New York Times bestselling author Marjorie Liu (Astonishing X-Men, Black Widow) and artist Sana Takeda (X-23, Ms. Marvel) come together for the all-new ongoing fantastic adventure, MONSTRESS, first announced at Image Expo and set to launch from Image Comics this November. 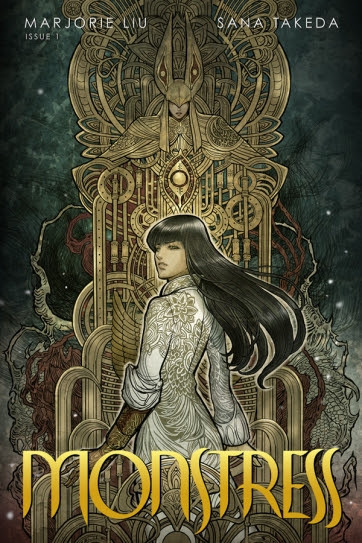 MONSTRESS #1 will launch at triple size, weighing in at 72 pages for only $4.99 and in stores on Wednesday, November 4th.